Handwork: A way to understand our ability. A motor skill is a learned sequence of movements that combine to produce a smooth, efficient action in order to master a particular task. 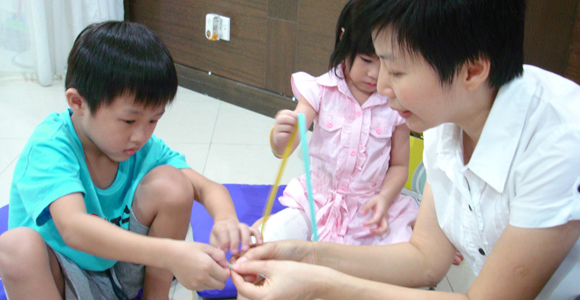 Crafting is both fun to make and fun to play, at the same time, it helps the younger one to concentrate. Teamwork: Learn to share and work together. Functionality of a good culture family and society comes from teamwork. 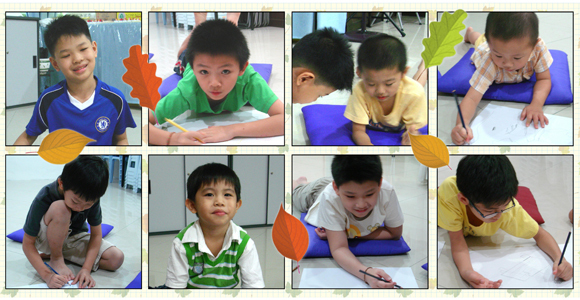 Drawing for kids is an important time to enhance their mind and artistic skills, it shows the way of thinking pattern of a person. How flexible is your hand means how flexible is your brain, as your brain control your hands. 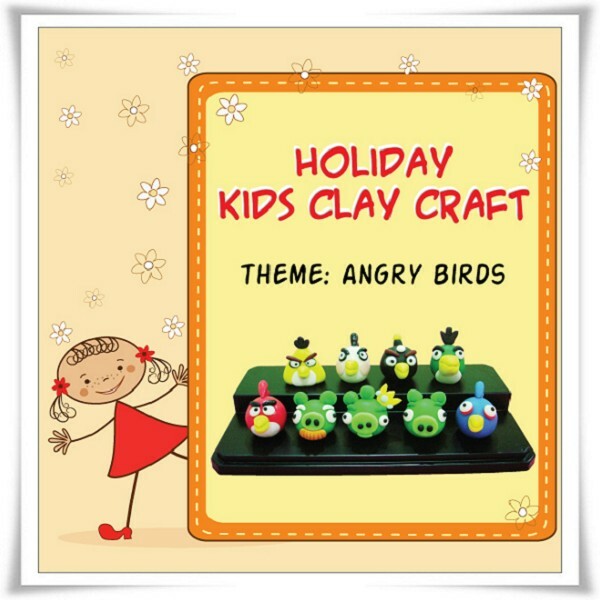 Working with clay is fun, because a child has to learn how to press, to work the clay into round, square, tear drop or peanut shape. Concentration: training needed for all age. 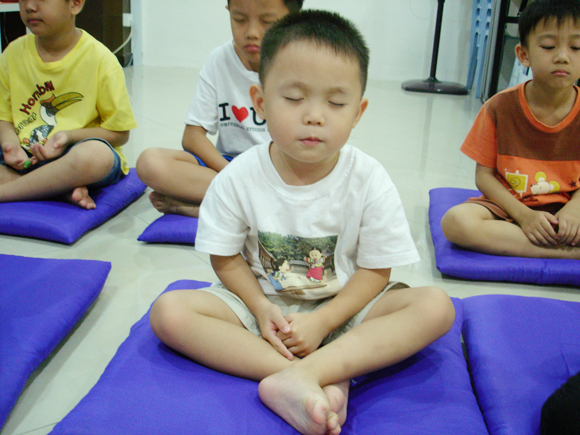 When a child being able to be comfortable with silence, they have the ability to concentrate. 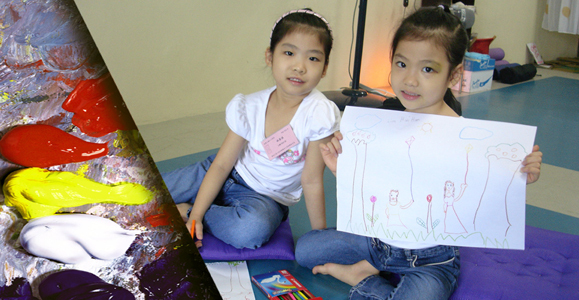 For today Energy Mindful Class, children learn to understand "everything starts with one and builds up...". We starts with one popsicle stick follow by another three, when 4 of the popsicle sticks stick together, it makes a photo frame. 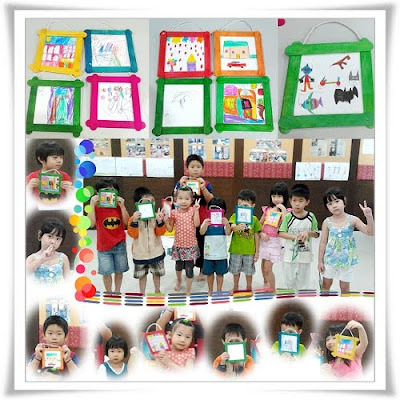 The hidden message for the making of photo frame is that everything need to start with an intention, idea and action. Without anyone of the criteria mentioned, nothing is able to be created. ONE is the basis of everything. Without coming out with a ONE, it is ZERO. Moral of the story: Respect and consideration for others are fundamental for living in groups, because there will always be something which annoys people. Thomas Crum was a boy made from blue and orange plasticine, and he lived in a school. Even though he had many good qualities, he had started to lack respect for others. When his Aunt Agatha, a big multi-coloured ball of plasticine, gave him a drum for his birthday, he was a nightmare. 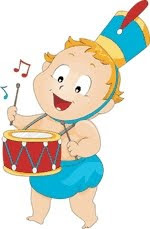 It didn't matter to him if everyone asked him to play the drum a little quieter, or to go and play somewhere else: Thomas went all round the classroom beating his drum, and the fact that he was annoying others didn't affect him in the least. His classmates stopped wanting to play with him. They suffered so much from his noisy drum that even Coco Wiseman, a very intelligent figure made of lego, invented some special earplugs which allowed you to hear normal sounds, but blocked out the annoying ones. On seeing that the others were ignoring him, and not even being annoyed any more, Thomas got very angry with Coco Wiseman. After a big fight, the inventor ended up falling to the floor all the way from the height of the table. On impact, the blocks he was made of broke up and separated. Even though it was an accident, everyone was angry with Thomas. No one wanted anything more to do with him, although that didn't bother him a great deal. Everything would have stayed like that if it hadn't have been for the fact that a few days later, a lovely cuckoo clock was put in the classroom, just next to the shelf Thomas slept on. The cuckoo clock was constantly making noise. Thomas couldn't get any rest at all. However, the others, with their special earplugs, were fine. Then Thomas started to realise just how much he had annoyed everyone with his drum, and how stupid it had been to fight with Coco Wiseman. Coco was the only one who would be able to help him now. Determined to rectify the situation, and so everyone would eventually see he was becoming the best-behaved, most respectful boy, he spent all his time reconstructing Coco Wiseman in secret. He spent many days and nights working on him, and he finally finished the job just when he could hardly have gone on any longer, what with hardly getting any sleep because of the cuckoo clock. When Coco was built and came back to life, everyone got a huge surprise, and they enthusiastically congratulated and thanked Thomas for all his work. Thomas, in return, asked them to forgive him for his lack of consideration. And so, although Coco Wiseman was a bit angry at him, Thomas managed to convince him to make a pair of earplugs for him too. Finally Thomas could get some sleep, and never again was he as inconsiderate as he had been before. I always remember when I was young, I have a few paper dolls, boys and girls, with different type of attire: party, working, beach, etc. Due to the advancement of our country, I have not seen paper doll selling at the shop in Malaysia. In order to let the children play "Gathering at the Beach", I have come up with the boy and girl paper doll. 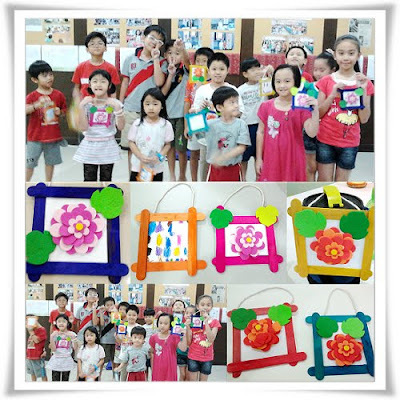 It really makes their day as they have to design by coloring the doll attires, training motor skill by cutting the doll and have fun after all the hard word done. I think when we talk about failure and what your child can learn from it, we’re really talking about the benefits of allowing your child to feel discomfort. And when I say discomfort, I mean worry, fear, disappointment, and the experience of having consequences for your actions. I think instinctively parents really don’t want their kids to feel uncomfortable about anything, even when they know that sometimes it’s beneficial for their child to pay a price for their choices. And so some parents will fight at the school, they will fight with other parents, they will fight with their kids. They will fight with anybody to claim their child’s right to never feel uncomfortable. Somehow in our culture, protecting your child from discomfort—and the pain of disappointment—has become associated with effective parenting. The idea seems to be that if your child suffers any discomfort or the normal pain associated with growing up, there’s something you’re not doing as a parent. Personally, I think that’s a dangerous trap parents fall into. While I don’t think situations should be sought out where a child is uncomfortable, I do think if that child is uncomfortable because of some natural situation or consequence, you should not interfere. Look at it this way: when a child is feeling upset, frustrated, angry or sad, they’re in a position to develop some important coping skills. The first thing they learn is to avoid similar situations. So if your child is called on in class to answer a homework question and he didn’t do it, he can learn to avoid that by doing his homework—not by having his mother tell the teacher not to call on him anymore because it makes him feel bad. The other thing that happens is that your child builds up a tolerance for discomfort, an emotional callous, if you will, and I think that’s very valuable. Discomfort is such a part of our life, whether you’re squeezed into a subway car, waiting in line at the supermarket, or passed over for a promotion. Everyone experiences difficult things from time to time, which will make you uncomfortable and frustrated. It’s so important for your child to be able to learn how to manage those situations and to develop a tolerance for them. And make no mistake, if he doesn’t learn to tolerate discomfort, he’s going to be a very frustrated adolescent and adult. So I advise parents to let your kid wait in line—don’t try to figure out how to cut ahead. When your child is starting to get frustrated, point it out. You can say, “Yeah, I know it’s frustrating to wait, but this is the way we have to do it.” Suggest a coping skill. When you shield your child from discomfort, what he learns is that he should never have to feel anything unpleasant in life. He develops a false sense of entitlement. 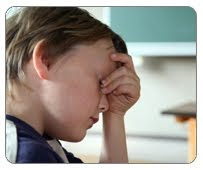 He learns that he doesn’t really have to be prepared in school, because his parents will complain to the teacher, who will stop calling on him or expecting his homework to be in on time. He learns that his parents will raise the tolerance for deviance. 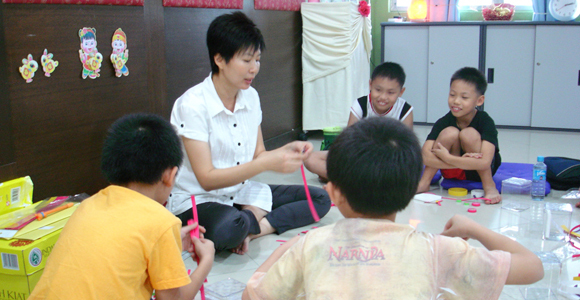 If his parents are successful, the teacher will tolerate less compliance from him because of his parents’ intervention. He learns to confront a problem with power rather than dealing with it through responsibility and acceptance. Whether dealing with feelings of discomfort or feelings of failure, there are three simple questions parents can ask their child. That’s what you want your child to learn, because that’s all he can change. The lesson stems from there. Your child might say, “I don’t know what part I played, Dad.” You can respond by saying, “Well, let’s think about it. Where did you get off track? Where did things go wrong for you?” If your child doesn’t know, you can say, “Well, it seems to me you got off track when you didn’t have your homework ready when your teacher called on you. The part you played was not being prepared. And the solution to that is getting prepared.” Your child may agree with you, or he may try to offer some defense. But any defense that’s offered is not going to be legitimate as long as you’re speaking in the context of “What part did you play?” You just need to point out, “Well, it seems to me like you’re making an excuse for not having your homework done.” Or “Seems to me you’re blaming me for not having your homework done.” Or “It looks to me like you’re blaming your teacher for not having your homework done.”—whatever the case may be. So it’s, “What are you going to do differently the next time when you have to do your homework?” Or “What are you going to do differently next time so that if your teacher calls on you, you won’t get embarrassed?” Or “What are you going to do differently next time to pass the test?” This is a big question in this conversation with your child, because it gets him to see other, healthier ways of responding to the problem. “What did you learn from being embarrassed when your teacher called on you?” “What did you learn from not passing the test?” Put the responsibility back on your child. If you take his responsibility over, it’s just going to become a power struggle. With all the problems that exist in education today, the last thing you need is to be in a power struggle with your child’s teacher. Now you may say, “Well you don’t understand, my child’s teacher is different.” I do understand that. There are effective teachers and ineffective teachers. But let me ask you this: when is your child going to learn to deal with ineffective teachers? Where do you think your child is going to learn to deal with injustice? Part of learning—for everyone—involves feeling uncomfortable at times. Part of loving your child responsibly means that you need to let him feel discomfort, and even fail, as long as he’s learning how to be accountable for his actions in the process. If you’re doing too much for your child, you will eventually feel burned out and put upon. 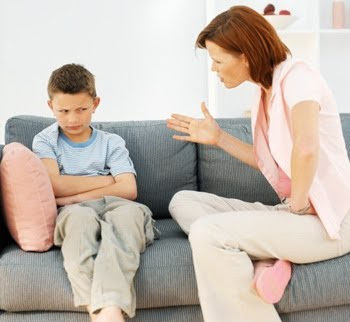 You can determine if you are an over-functioner if you tend to move in quickly with advice, think you know what’s best, not only for yourself but for others, have a low threshold for your child’s pain and don’t allow him to struggle with his own problems. You might have difficulty sharing your own vulnerability and spend more time focusing on others’ goals than your own. The people around you probably think of you as always reliable and together. You might not see it as a problem until you start to burn out. Understand that over–functioning and under–functioning are a “circular relationship pattern” because these two roles feed off of each other. You may feel over responsible for your child, directing his moods, controlling his decisions and micro–managing his social life. 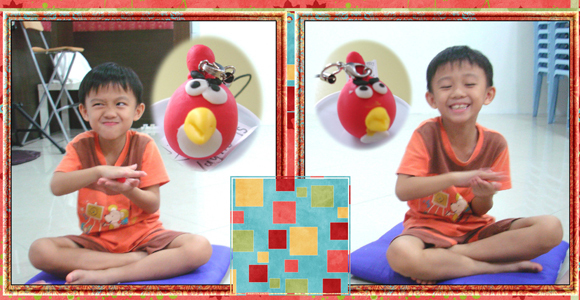 In this way, you unwittingly encourage your child to be passive in life and become an under–functioner. When this happens, he begins to rely on you to do all the things he should be doing for himself. And you think, "He needs me. I can't just let him drown." Is My Child an “Under–functioner”? 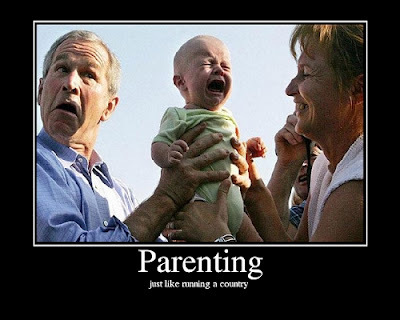 I once worked with a couple who always over–functioned for their child, doing things for him that he could do himself. This son always skated through classes because the parents gets someone to do his homework for him. Everything at home is prepared by the maid even waking up in the morning to school has to be reminded several times by the parents. As such, he did not learn how to rely on his own abilities, blame others if he does not get what he wanted, take the necessary risks, develop the ability to think for himself, fight with the mother and at times he even overacted showing his fist to his mother. His parents could not tolerate their own anxiety about unhappiness of their son if he does not get what he wanted or the pain of watching him struggle. By over-functioning for him, they inadvertently robbed his of the skills and practice necessary to develop competence and mastery in his life. The bottom line is that if a parent’s emotional needs are met through their child, essentially they’re tying his shoes for his every step of the way. If you have a child who has been diagnosed with a learning disability or a behavioral disorder, it gives you even more of a reason to do too much for them. It may even feel as if it’s expected and natural to over–focus on your child. But understand that it’s not really doing them any favors in the long run, because they’re not learning how to do things for themselves. And one day, your child will need to go out into the world and function as an adult. Of course, it's important to understand their disability and help them when appropriate, but try not to let your anxiety compel you to overdo for them and underdo for yourself. When that happens, you run the risk of ending up angry, resentful and burned out. What do adult under–functioners look like? Under–functioners are skilled in the art of “learned helplessness.” They have quite literally learned to be helpless, because someone was always there to pick up the pieces for them. They often act irresponsibly, aren’t able to handle uncomfortable emotions well, float without goals, become ill a lot, can tend to become addicted to substances, ask for advice when they need to figure things out for themselves and get others to always help them. They will often search out a partner who will take care of their needs and pick up where their parents left off. And keeping a job is hard for under–functioners, because they’re always looking for someone to swoop in and rescue them. For many people who were raised this way, the world is a scary place—and instead of venturing out and making a life for themselves, they choose to stay home with mom and dad indefinitely. 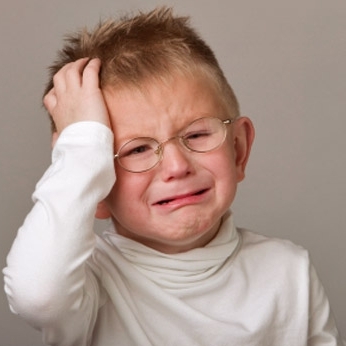 Continue Reading Are You Doing Too Much For Your Child? Fathers play an important role in the psychological, behavioral and academic development of their children. In the spirit of Father's Day, A-Better-Child.org offers ten ways for dads to make the most of this very special role. 1. 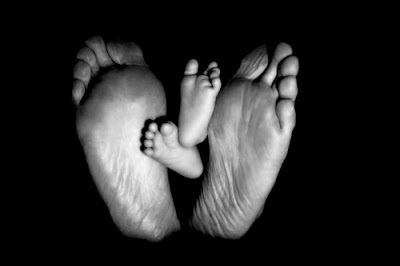 Respect Your Children's Mother: One of the best things a father can do for his children is to respect their mother. If you are married, keep your marriage strong and vital. If you're not married, it is still important to respect and support the mother of your children. A father and mother who respect each other, and let their children know it, provide a secure environment for them. When children see their parents respecting each other, they are more likely to feel that they are also accepted and respected. 2. Spend Time With Your Children: How a father spends his time tells his children what's important to him. If you always seem to busy for your children, they will feel neglected no matter what you say. Treasuring children often means sacrificing other things, but it is essential to spend time with your children. Kids grow up so quickly. Missed opportunities are forever lost. 3. Earn The Right To Be Heard: All too often the only time a father speaks to his children is when they have done something wrong. That's why so many children cringe when their mother says, "Your father wants to talk with you." Begin talking with your kids when they are very young so that difficult subjects will be easier to handle as they get older. Take time and listen to their ideas and problems. 4. 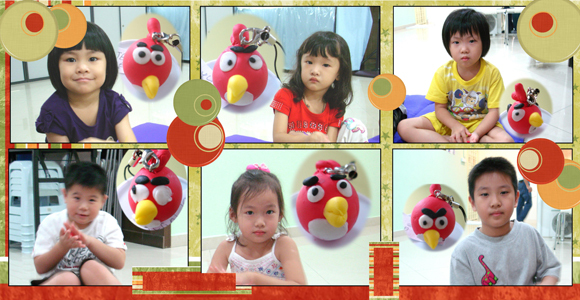 Discipline With Love: All children need guidance and discipline, not as punishment, but to set reasonable limits. Remind your children of the consequences of their actions and provide meaningful rewards for desirable behavior. Fathers who discipline in a calm and fair manner show love for their children. 5. Be A Role Model: Fathers are role models to their kids whether they realize it or not. A girl who spends time with a loving father grows up knowing she deserves to be treated with respect by boys, and what to look for in a husband. Fathers can teach sons what is important in life by demonstrating honesty, humility and responsibility. "All the world's a stage..." and a father plays one of the most vital roles. 6. Be A Teacher: Too many fathers think teaching is something others do. But a father who teaches his children about right and wrong, and encourages them to do their best, will see his children make good choices. Involved fathers use everyday examples to help their children learn the basic lessons of life. 7. Eat Together As A Family: Sharing a meal together (breakfast, lunch or dinner) can be an important part of healthy family life. In addition to providing some structure in a busy day, it gives kids the chance to talk about what they are doing and want to do. It is also a good time for fathers to listen and give advice. Most importantly, it is a time for families to be together each day. 8. Read To Your Children: In a world where television often dominates the lives of children, it is important that fathers make the effort to read to their children. 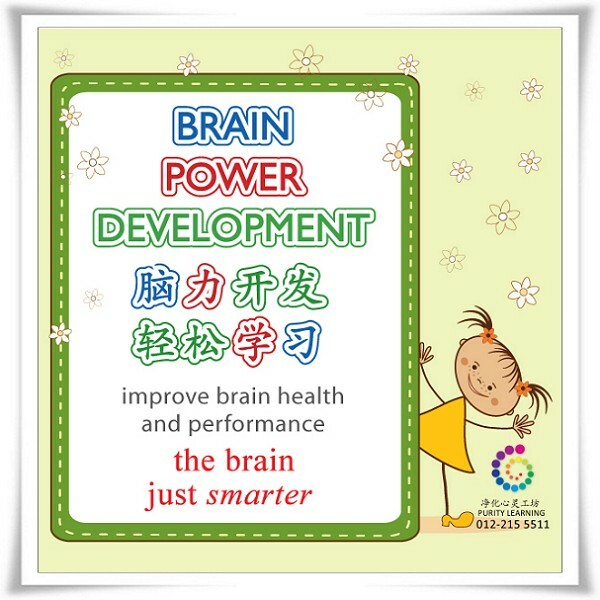 Children learn best by doing and reading, as well as seeing and hearing. Begin reading to your children when they are very young. When they are older encourage them to read on their own. Instilling your children with a love for reading is one of the best ways to ensure they will have a lifetime of personal and career growth. 9. Show Affection: Children need the security that comes from knowing they are wanted, accepted and loved by their family. Parents, especially fathers, need to feel both comfortable and willing to hug their children. Showing affection everyday is the best way to let your children know that you love them. 10. Realize That A Father's Job Is Never Done: Even after children are grown and ready to leave home, they will still look to their fathers for wisdom and advice. Whether it's continued schooling, a new job or a wedding, fathers continue to play an essential part in the lives of their children as they grow and, perhaps, marry and build their own families. 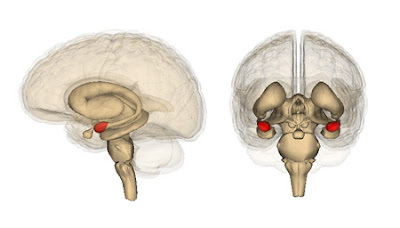 The amygdala manages connections and responses between several regions of the brain. It's directly involved with emotional well-being, the flight-or-flight response and fear conditioning. 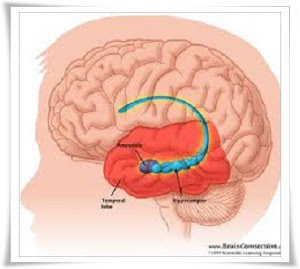 A recent study also suggests that the amygdala plays a role in the complexity of social life. There are many simple exercises we can do to activate this positive response. Any time we engage our imaginative thought processes we're using the frontal lobes. 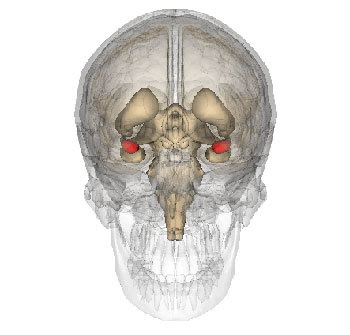 This image shows precisely where the amygdala is located in the brain. Picture where it is inside your skull, then try some of the exercises listed below the image. ① Picture the amygdala inside your skull. Now imagine that it's glowing with red light. Imagine the light surging into your frontal lobes and gently setting off billions of neural pathways. ② Recall a frustrating situation. Imagine how you would have felt if you remained relaxed and in control when it happened. Would you have considered another solution to your problem in this resourceful state? ③ In your minds eye imagine a feather reaching back to your amygdala and gently tickling the surface. ④ Imagine meeting your idol. What questions would you ask them? Try to create a vivid mental picture of this meeting. Maybe your idol can provide some answers that will surprise you. ⑤ Everyone has issues in their life that sometimes seem unsolvable. What would you do if you didn't have to deal with those problems? Imagine how you would feel if you knew how to solve those problems. Hopefully you enjoyed some of these exercises. Get creative with them and make something up to achieve a similar effect.